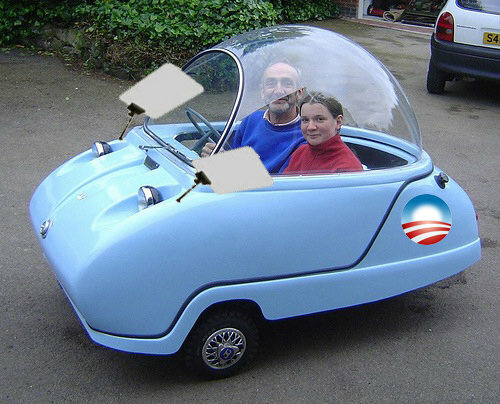 For those who are enjoying our new President’s transformation of America, (or those informed and concerned with the long term impact of what he is doing) I thought you’d enjoy a humorous look at what experts are predicting as the Obamamobile of the future! Hope you enjoyed the laugh. Don’t take it too seriously people, but do think seriously about the impact of one president spending more in 100 days than ALL previous presidents combined. You can’t blame that on your predecessor. Looks a little bigger than I thought. Off to Kid U Columbus!